eBloque innovation takes everything where there’s record keeping, everything where there’s trust around record keeping, and makes it digital, immutable, permanent, transparent and global. eBloque’s goal is to bring blockchain to businesses through our platform which offers unprecedented levels of scalability, security and transparency. Compliant data exchange driven from consent thru smart contract. 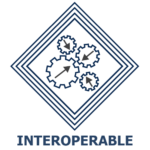 Enablement of Robots (RPA) for information transfer from traditional data store to eBloque-chain. 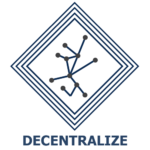 Connected Organizations for seamless information exchange via eBloque-chain. Efficiently migrate historical data into eBloque-chain via Robots. Anonymous Data available for Analytics. Enablement of AI models for Preventive diagnostics. AI enable setup to provide diagnostics based on Deep Learning Models with automated notifications. Analysis on the Anonymous data for proactive monitoring and decision making. Implement and integrate different modules for 360 visibility on Organizational data. Connected cities / states / Country. 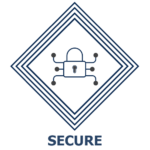 eBloque’s distributed architecture resolves the competing challenges of transparency and privacy, leading to stronger regulatory compliance, lower costs and a seamless customer experiences. eBloque technology provides a way to record and transfer data that is transparent, safe, auditable, and resistant to outages. 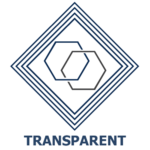 This technology and our approach has the ability to make organizations that use it transparent, democratic, decentralized, efficient, and secure. This will likely disrupt many industries in the coming years. These are some of the industries that we are already disrupting. Copyright © 2018 eBloque - All Rights Reserved.